Under a new law, patients can discuss their medical options and goals in order to make an informed decision on the type of care they want. For the first time, Medicare will pay this year for a conversation with your healthcare provider about your end-of-life care. When Congress attempted this coverage six years ago, it was met with charges that such conversations would result in “death panels.” Yet polls show that a majority of Americans want to talk to their doctors about their options and preferences as they approach the end of their lives. A recent Kaiser Family Foundation survey found that about 9 in 10 adults say doctors should discuss end-of-life care issues with their patients, yet only 17 percent of adults say they have had such a discussion. Even though most adults (90 percent) say they would prefer to receive end-of-life care in their home if they were terminally ill, only about one-third of Medicare beneficiaries (age 65 and older) died at home (Kaiser Family Foundation). Conversations with healthcare provider about such wishes could guide you and your doctor to the kind of treatment that would ensure you die where you want. Under the new rule, Medicare pays $86 for the first 30 minutes of “advance care planning” in a doctor’s office and $80 for the service in a hospital. In both settings, Medicare will pay up to $75 for 30 additional minutes of consultation. If the discussion takes place during your annual wellness visit, it is considered a preventive service and the patient's coinsurance and deductible are waived. These voluntary discussions can take place at any time, not just when a patient is facing a serious illness or death. Ideally, end-of-life conversations would cover a range of concerns, including understanding the patient’s prognosis and goals. Do you want everything done that would keep you alive—chemotherapy, CPR, tube feeding—even if it doesn’t meet your wishes for your end of life? Be specific about treatments and interventions you do and do not want. Far from forcing people to accept treatments that would shorten their lives, communication with your healthcare provider can help ease your fears, minimize pain and suffering and enable you and your family to experience a peaceful passing. Those who are dying often have many fears—of pain, indignity, abandonment and the unknown. By talking to your healthcare provider, your end-of-life care can become an experience of choice rather than passivity, of empowerment rather than powerlessness, experts say. An end-of-life conversation allows your loved ones to know what to expect and know that you are receiving the care you desire. 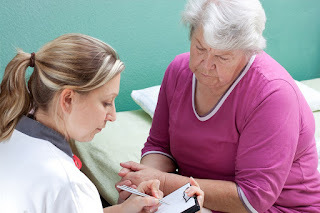 The new policy will help seniors "make important decisions that give them control over the type of care they receive and when they receive it," the Centers for Medicare and Medicaid Services stated. Studies have shown that advance-care planning improves the patient’s quality of care because it’s targeted to what the person wants. Directed treatments can reduce the costs of medical interventions that the patient either doesn’t want or doesn’t need. For Amy Berman, a nurse, being able to have such conversations with her doctors “allowed me to survive, and live well, in the five years since my diagnosis” of a fatal form of breast cancer. Even though her cancer has spread a bit farther, “because my treatment focuses on helping me live well and feel well, I haven’t been in the hospital. I feel great.” Berman estimates she has “saved about a million dollars by avoiding care I do not want,” while being able to work full time, travel and spend time with family and friends. Going hand in hand with the end-of-life conversation with your doctor is the preparation of your advanced care directives, which can include a living will, Five Wishes and/or POLST (physician order for life-sustaining treatment). A living will is a written, legal document that spells out medical treatments you would and would not want to be used to keep you alive, as well as other decisions such as pain management or organ donation. Five Wishes goes beyond medical care to share your personal, emotional and spiritual concerns. The form includes questions about how comfortable you want to be, how you want people around you to treat you and what you want your loved ones to know when you’re facing the end of your life. These documents also indicate who can make decisions on your behalf if you’re unable to do so. Unlike a living will or Five Wishes, a POLST form is a medical order signed by a doctor and based on your end-of-life care wishes. It is used by emergency medical professionals, hospital staff, a healthcare facility and others to follow your instructions. Oregon’s POLST lets people register their wishes for end-of-life care with a state registry. Several states, including New York, Washington and West Virginia, have also adopted a version of the POLST. Although Medicare has not provided any guidelines for a conversation about end-of-life care, others have. Dr. Atul Gawande is the leading thinker and writer on this subject. In his influential book Being Mortal, he talks about asking his patients what makes their life worth living. He goes far beyond what most doctors consider a conversation about end-of-life care, which usually involves resuscitation, mechanical ventilators and comfort care. One patient said he would enjoy life if he could eat chocolate ice cream and watch football. For some people being able to be at home and spend time with grandchildren is important. Others don’t want to continue their lives if they can’t be active. Different answers result in different treatment plans; for example, less or more aggressive cancer treatment. What is your understanding of where you are and of your illness? What are your fears or worries for the future? What are your goals and priorities? What outcomes are unacceptable to you? What are you willing to sacrifice and not? What would a good day look like? Can you tell me what I can expect from this illness? What is my life likely to look like six months from now, one year from now and five years from now? What can I expect about my ability to function independently? What are some possible big changes in my health that my family and I should be prepared for? What can I expect to improve (or not improve) if I choose this course of treatment, or another course of treatment? What can I expect if I decide to do nothing? When meeting with your doctor, you can also discuss palliative care, which is concerned with providing seriously ill patients with relief from the symptoms and stress of a serious illness, rather than trying to cure the patient. It can be relief from pain, fatigue, constipation or depression, for example. The purpose is to improve your quality of life. Once you’ve had the conversation with your doctor, follow up with your family and close friends and let them know your preferences, so they can honor your wishes. Medicare to Pay for End-of-life Talks with Doctor is a featured article in the March 2016 Senior Spirit newsletter.